After the churning of the last several days, finally the Chief Minister of Gujarat has been stamped under the name of Vijay Rupani. In today's meeting in the presence of supervisors in the party office in Gandhinagar, it has been decided that Vijay Rupani will continue as the chief minister of Gujarata nd Nitin Patel will retain the post of deputy chief minister. Earlier, speculations were being raised that BJP is also considering implementing UP's formula in Gujarat. “There's a procedure of consultation in the party. I asked members if there were any alternatives they wanted to name. Since there were none, the two (Rupani and Patel) were declared as unanimously elected,” Jaitley told mediapersons at a press briefing. “We will inform you all about the swearing in soon,” he added. 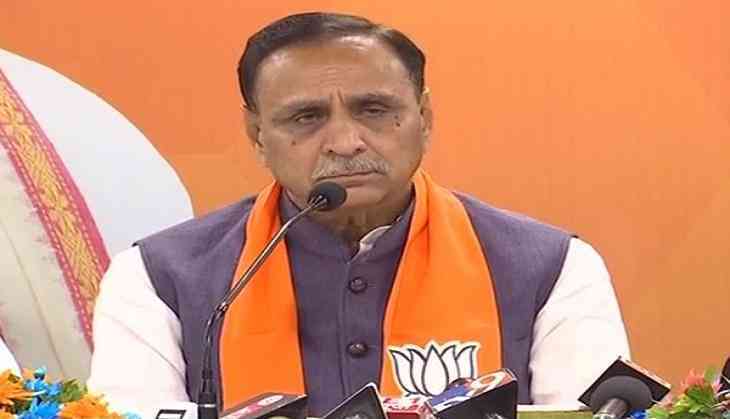 Earlier, along with Deputy Chief Minister Nitin Patel and other ministers, Rupani handed over the resignation of the Cabinet in Gandhinagar with the Governor. Although he will be the caretaker chief till the formation of the new government In the recent 182-member assembly elections, BJP won 99, Congress 77 and six seats others won. On the other hand, in the BJP, which is making its return to power in Himachal Pradesh with a spectacular majority, there is a continuation of the chief ministerial elections in the BJP. Union Minister Nirmala Sitharaman and Narendra Singh Tomar are meeting with the RSS leaders in Shimla so that a name can be agreed.